My sister's daughter is celebrating her Birthday today. On this special day, I have a wonderful recipe to be shared with you all. 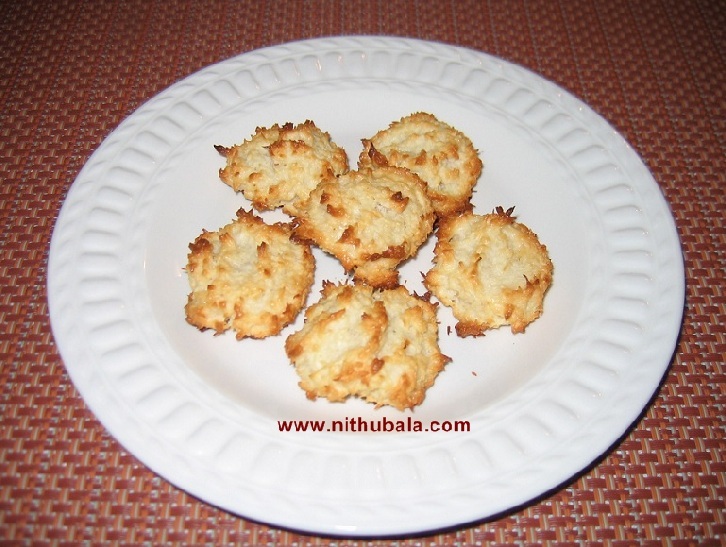 Let us all celebrate her Birthday with these yummy eggless coconut macaroons. I saw the recipe for coconut macaroon in Mahi's Kitchen. But, I couldn't use her method completely as she used eggs in the recipe. I referred few eggless recipes on the net before I baked this eggless version. Thanks Mahi for the wonderful recipe. 1. Preheat the oven to 350 degrees F. Grease the cookie tray. 2. Sieve flour and baking powder. Now, combine the sweetened condensed milk, salt and vanilla extract. 3. Stir in nuts and coconut. Mix well. Drop the mixture using a spoon onto the greased cookie tray. 4. Bake for 20 minutes or till they become golden brown. Cool on a wire rack. Happy Birthday to your neice.I am sure she is going to be thrilled with such lovely cookies. Scrumptious coconut macarons...My hearty birthday wishes to ur niece..
happy b'day to your niece Nithu. Coconut macaroons looks perfect and tempting. birthday wishes to ur niece...those macarons looks lovely and yummy!! 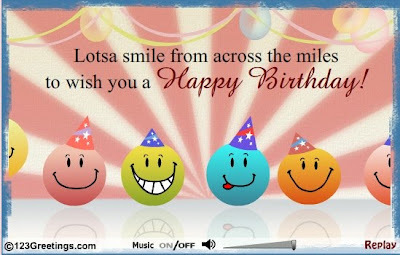 Many more happy returns to your niece nithu! Macaroons look yummmm! thanks for trying out the recipe dear! Macaroons are very tempting..Ur neice must have enjoyed them! Am getting itched at trying those..
love macaroons--- yummy looking ! இனிய பிறந்த நாள் வாழ்த்துக்கள். macaroon எனக்கு மிகவும் பிடித்த ஒன்று. Happy birthday and many happy returns of the day to your niece. You have done a great job indeed... I am off blog, so you dont see me ..will be back soon..
Belated birthday wishes to your niece.These macaroons look so delicious.